Clarksburg Wine Trail: The most distinctive feature of the Clarksburg vineyards is the influence of the Sacramento River and the Delta breeze. Both bring an afternoon cooling effect to this area. There are some 58,000 vineyard acres in Clarksburg, but only a small number of wineries. The bulk of the Clarksburg wine grapes are sold to wineries throughout California. Most of the Clarksburg wineries have set up shop in the Old Sugar Mill. Winters Wine Trail: The small town of Winters is the center of this wine region. 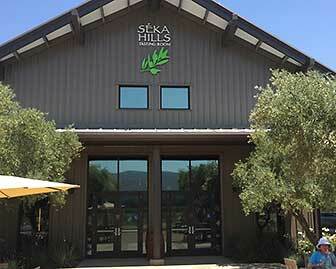 It is beginning to emerge as a wine country destination. There are just a few wineries in the area, and some have set up tasting rooms in Winters. The famous wine road of Highway 128 runs west from Winters to the Napa Valley, and all the way to the Anderson Valley in Mendocino County.